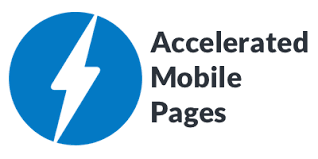 AMPS stands for accelerated mobile pages, it is a very well known technology which was earlier made available by the Facebook under which it basically allowed the publishers to host the content within the infrastructure of the Facebook. By doing this, facebook’s articles get loads quickly as compared to the equivalent web page that you open in your standard mobile browser. But it was a thing of past, now the company has closed this service. Since the Facebook has closed it, the other companies like Google have created even better and more open framework which also have somewhat similar goals and that can be termed as the accelerated mobile pages. The other reason for the speed of the amps is that normally the external resources such as the images or other ads, iframes etc basically state the size in the HTML while AMPS loads the whole layout of the page without even waiting for any of the resources to download. It also minimizes style recalculations and hence there also the execution time is saved. So these are the simple things that could explain the process of How AMP works. In case you wish to know some more about the process then you can simply do that by going through a number of articles available on the net.